Christopher Olah, creator of ImplicitCAD, at the 3D printer. 3D printing has certainly emerged as one of the most exciting tools for hobbyists, designers, engineers, and more—and over the past few years, has become such a mainstream technology that most everyone has at least a glimmer of what the technology is about and usually a wondrous attitude regarding the latest amazing or outrageous thing they’ve seen or read regarding processes and innovations resulting in 3D printed ears, 3D printed humanoids, or even cars that will be coming to market soon. The innovations that have sprung from this hardware are a true testament to the power, brilliance, and creativity of the human mind all around. And as we delve further and reach for more, it’s also quite fascinating to see the evolution of tools specific to 3D printing. Software is of course a prime example of one of the main tools we enjoy, offering an avenue too for those who want to make their own 3D models, rather than just downloading and printing designs from others. The ultimate key for those heavily involved from the software end is to find ease in the process from beginning to end, allowing for streamlined design and successful prints. Many makers have their favorite CAD software that they lean on, from Blender to SOLIDWORKS to AutoCAD. But then of course there are the even more serious programmer’s programs that don’t exactly come in a shiny package with heavy marketing and a dazzling website. What these programs—sometimes referred to as niche programs as well as programmatic CAD—do come with though are many features that might appeal to you if you are hoping to perform complex modeling. The OpenSCAD language and its integrated development environment (created in 2009) have been popular in the making community for many years, and a fundamental tool for many in labs and makerspaces—even behind the design of the Prusa i3—and used by MakerBot for their online customizer tool. 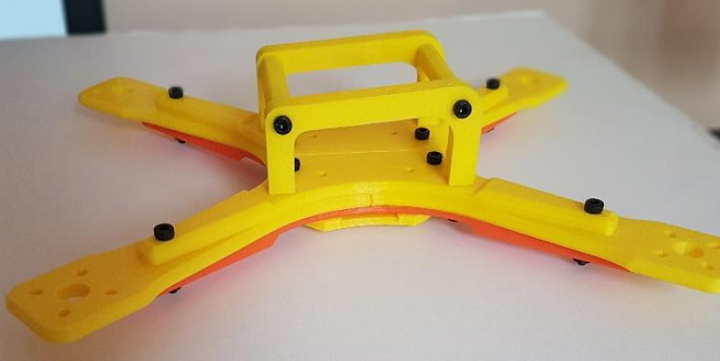 While the rewards of using a tool like OpenSCAD include the ability to make and share nearly anything, there are numerous downsides and idiosyncrasies which can make it challenging—and motivated user Christopher Olah to create ImplicitCAD several years ago. Powerful and open source, the idea behind ImplicitCAD was for a more comprehensive, flexible, and solid tool than OpenSCAD. Written in Haskell, it allows programmers more latitude, and once completed, models can be converted to .stl files, made into images through ray tracing (allowing you to see a 3D object better from the computer), or translated right into G-Code. With ImplicitCAD, users are often rewarded with greater speed and efficiency. This program is available for Linux, Mac, and Windows, and you’ll find fairly thorough instructions as you embark on your journey. You should find yourself ready to start modeling with ease, enjoying open source accessibility, a wider range of graphics capabilities, speed, and easier operation all around. You should discover greater proficiency then OpenSCAD in numerous ways, including the ability to use parallel rendering. It’s interesting to note that Olah left the project, and it is now in the hands of Julia Longtin, who uses this program as part of her 3D printing and microcontroller classes at HacDC. Some may see that the project seems to have slowed a bit but Longtin is busy making fixes and working on the code to make it more ‘readable,’ thus offering optimism for an even better modeling tool here in the near future. As those involved with ImplicitCAD are committed to the open-source advantages of this ‘serious CAD program,’ keep in mind that they invite users to offer improvements and contributions, suggesting first a look at hacking.md for an idea of the scope of the project overall and ideas for modifications. Discuss your thoughts on this software in the ImplicitCAD 3D Software forum over at 3DPB.com.